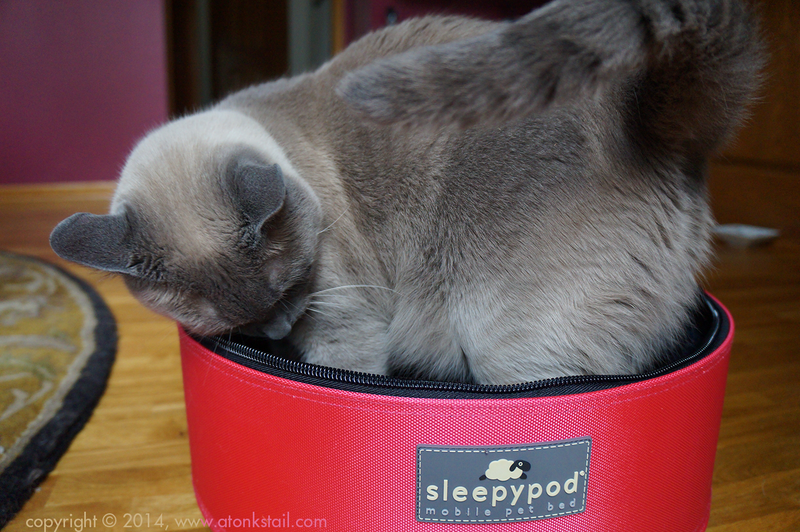 Well, we were gonna call this our Great Sleepypod Review, but you know us. It kinda evolved (devolved?) into an adventure! 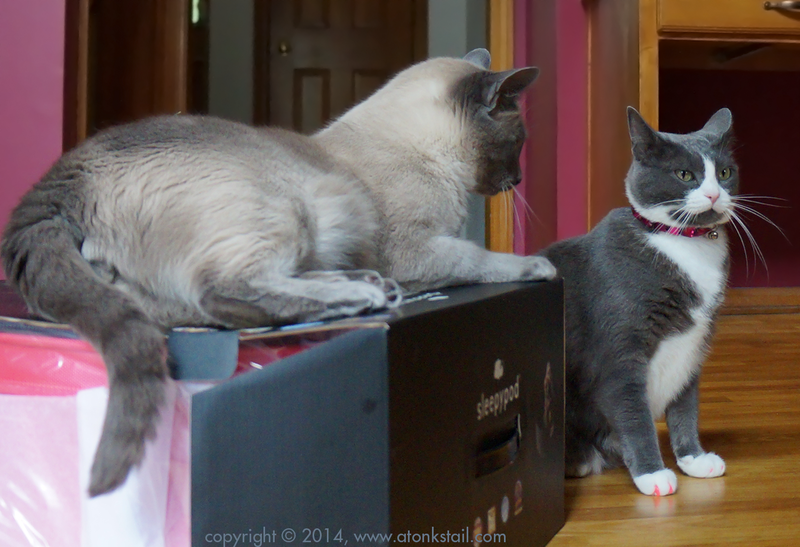 First, there was the epic battle over dominance for the shipping box it came in. Allie: Maxwell. The box. You're on my box. Maxwell: Inspection? Did someone say inspection? Here, Allie, let me help you out! Maxwell: *stomp*stomp*stomp* Good sturdy construction! I hear this is the only brand safety tested with real crash-test dummies! 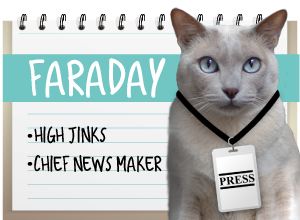 Faraday: COOLIO, a show! And with a cushy front-row seat, too! Maxwell: Dood, no, seriously. I'm not zipping you in - I'm zipping Allie out. Trust me. It's a good idea. What is it with the boys and the pink sleepypod? Faraday: Maxie, you said you'd sit with me to protect me from Allie! 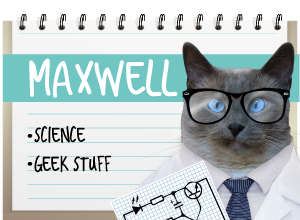 Maxwell: Mmmmpf! Watch the paw, dood. You're on my.... Ow. Allie: *sigh* Well at least they left me the box. 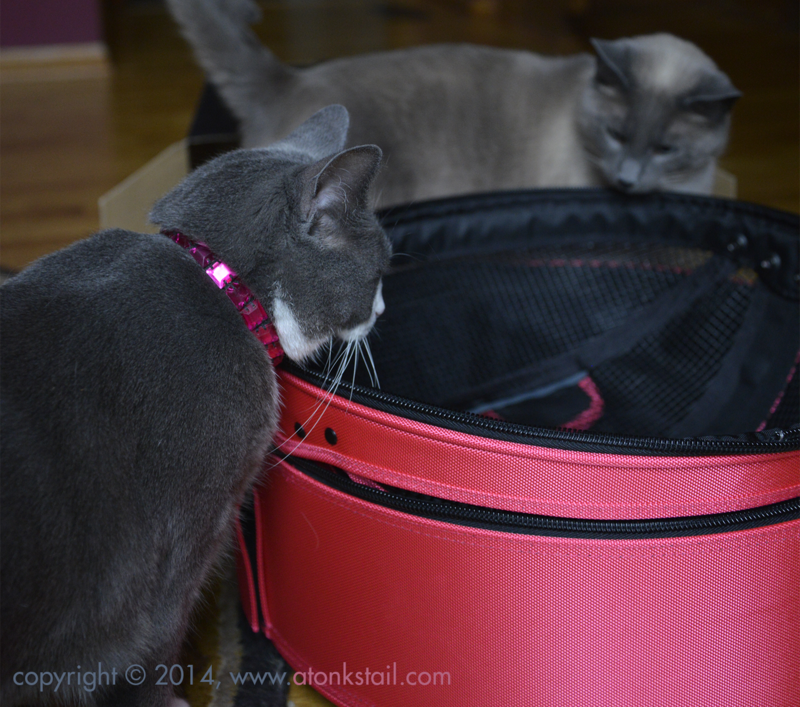 Allie: And the pink sleepypod travel bowl that it came with. Filled with *whispers* treats...! FTC Disclaimer: We were given a Sleepypod carrier to try out, but were not compensated in any other way for this review. All opinions are our own. At least you didn't have to share the treats, Allie! 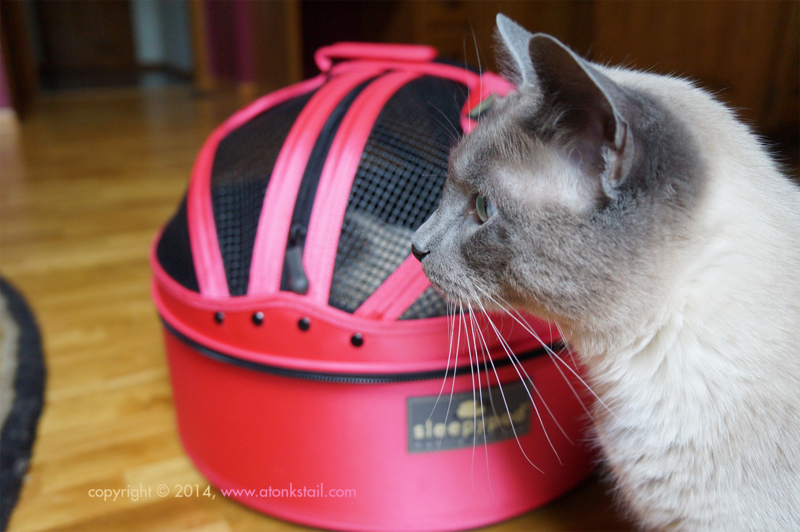 Those two mancats do look awfully fond of the pink sleepypod. Tell them to get their own pink beds! I think you all need a dog like me to get some order in your house. I would squish myself in there so no one else could get in. Better yet, I will send my cat bro Bert to your house. He stole my favorite dog bed. Maybe he could use that sleepypod. Will one be arriving in blue at your house too? Dat iis so cool. Enjoy yous sleepypod. Meez nevew seen one of those afuw. And yous all look so adowable. That is so funny! It seems the box comes with a built-in face scratcher too! Allie, sometimes it's fun just to watch the boys make fools of themselves! It was surely fun on this end! Very cool! Multiples make for so much fun. Did Allie ever get in her sleepypod? We think those Sleepypods are so cool! Well, unless we get zipped in and transported to the v-e-t. The pink is SO PINK that just screams ALLIE! You were very kind to let the boys have a go in YOUR sleepypod before you did, Allie. We hope you finally got your pod and the boys can stick with the box. 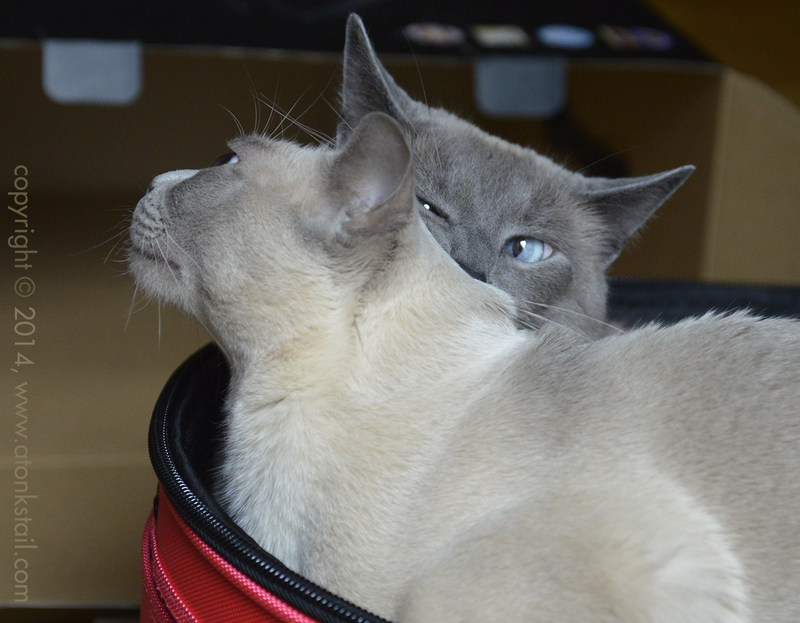 Nothing that comes in a box comes out without a process, when we kitties are involved! Love it! I want to get a sleepy pod but I've been concerned because Annabelle does not easily go into a carrier. I have to be able to drop her in and zip it. I also wanted to get pink for Annabelle. 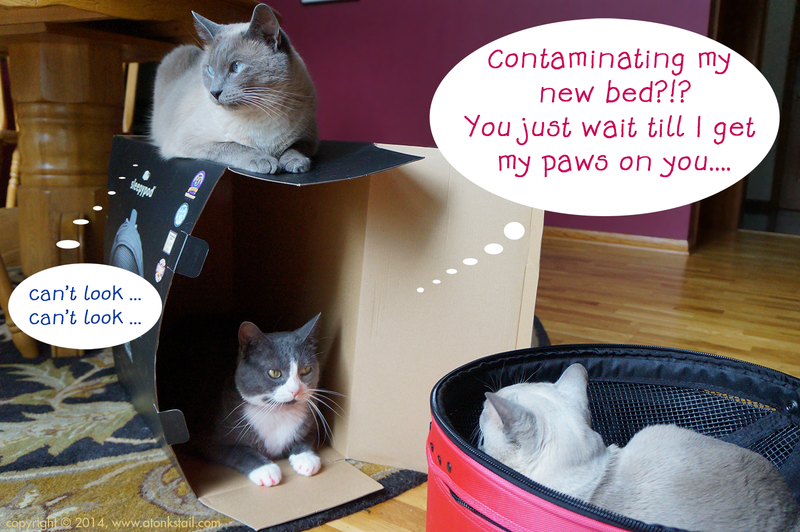 Oh Allie, it looks like you have got a fight on your paws to get your pink sleepy pod. Hmmm! I think the battle of the pink sleep pod will run and run! What is it with mancats and pink lately?!? We really love that sleepy pod! 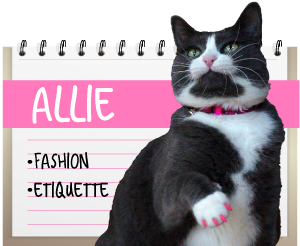 I love this post.. love it.. Oh Allie.. those icky boy cats getting their boy germs all over your nice new pink carrier.. you poor thing.